Last weekend, I spent the weekend in San Diego learning from Amity Parks! 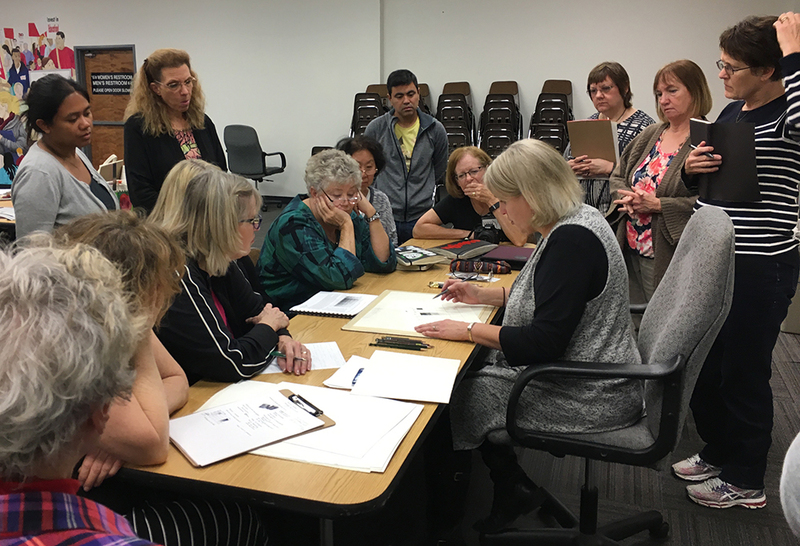 I was really sad to have missed the opportunity to learn from her last year, so I was glad that San Diego Fellow Calligraphers invited her to teach her workshop A Sharp Pencil and a Keen Eye, and they had an opening! The last time I visited San Diego was in 2013 for Pat Blair’s Copperplate workshop, and I really enjoyed the experience. SDFC’s classroom space is big and open, and everyone was so kind and welcoming. 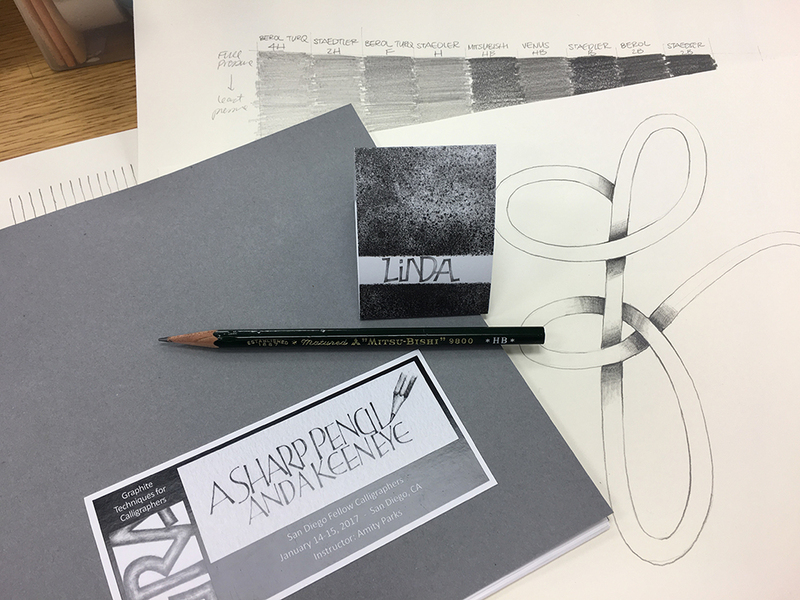 This entry was posted in The Learning Process and tagged amity parks, graphite, pencil, workshop on January 20, 2017 by linda.